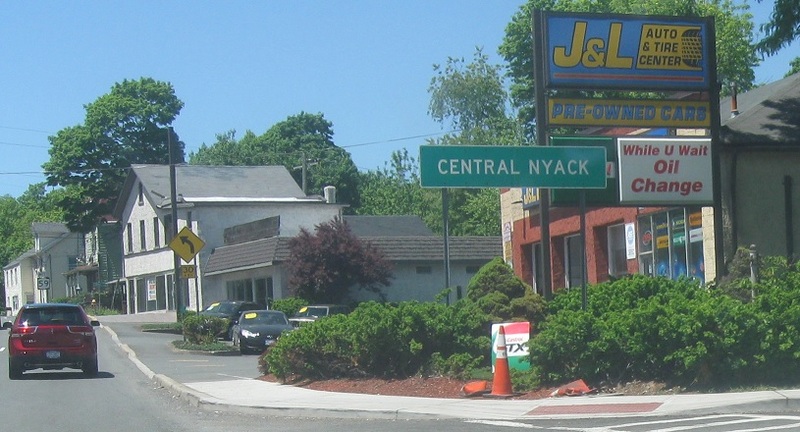 Just after the Thruway turnoff, we’ll enter unincorporated Central Nyack. Reassurance shield as we enter Central Nyack. 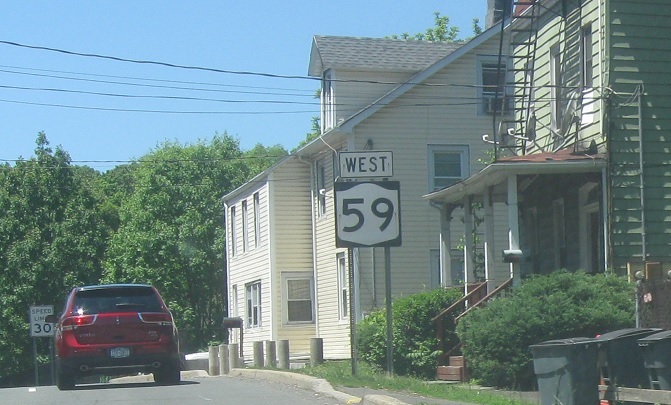 A couple blocks later, we’ll approach NY 303. 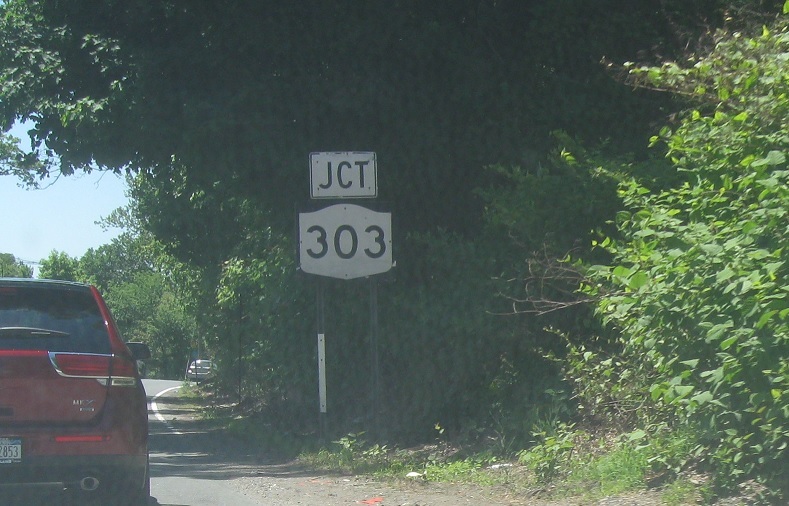 Turn right for 303 north. 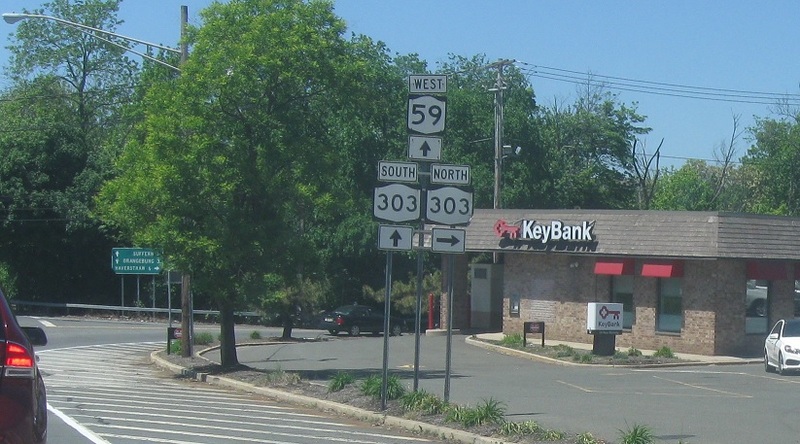 Stay straight and turn left for 303 south – this route has some wye connections. 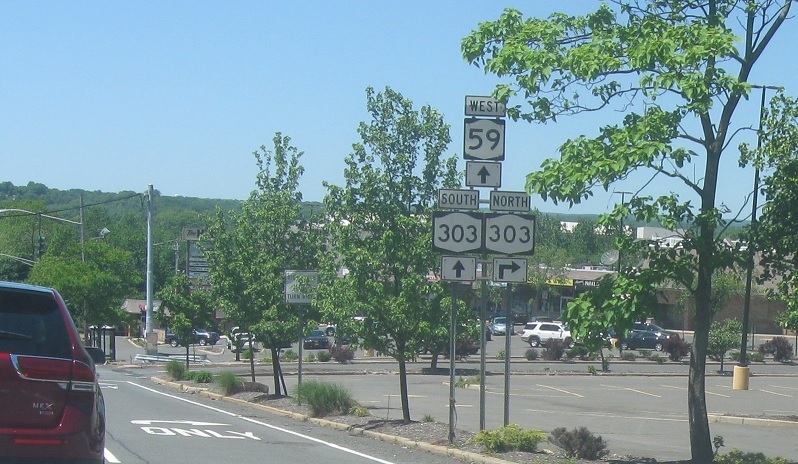 Follow 303 north to Haverstraw, 303 south to Orangeburg, and 59 west to Suffern.